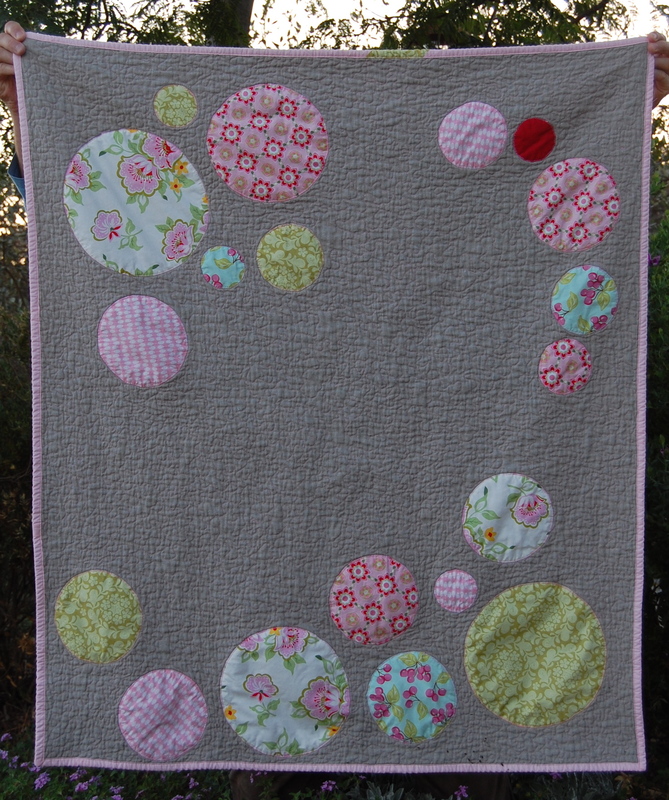 Some Flea Market Fancy Fun…..
Last year I had such fun experimenting with this quilt, which you can read about here! It was lovingly made for a dear friend’s newly adopted baby. She has enjoyed it and, I’m told, uses it daily! I decided to start on another. 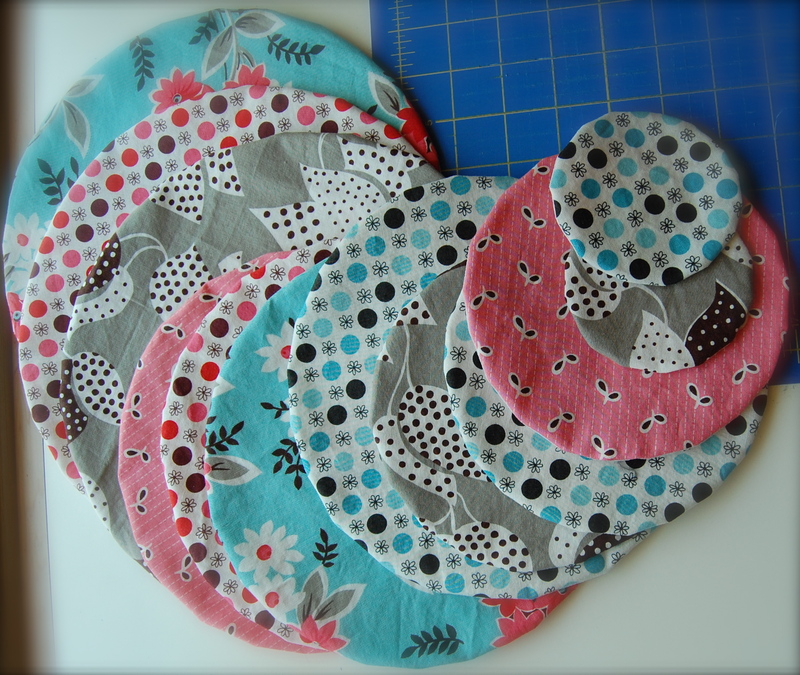 This time I’m limiting the palette a bit more and using only FMF fabrics-I think- for the circles(fabric frisbees) as my girls like to call them. Now I just have to decide on the color of linen for the background!! Oh I love FMF! I haven’t purchased any for myself but admire everyone else’s creations. Can’t wait to see your finished quilt. Oh my goodness, I love this quilt Karen. I hadn’t seen it before so I was surprised and treated to a lovely gift that you created. I LOVE the circles (frisbees!) and can’t wait to see the finished one you’ve got under way. Such a talented lady you are my friend! FMF is such a cute bunch of fabrics, I can’t wait to see what you do!! Made me think of bubbles. i love this karen!, i look forward to seeing version 2. maybe a tutorial? and yes, i never try to stay up all hours pinning…..haha. Ooooh, this is going to be awesome! What color background do you think you’ll use? How do you make these circles? I’d love to make a quilt like this for my son in blue!